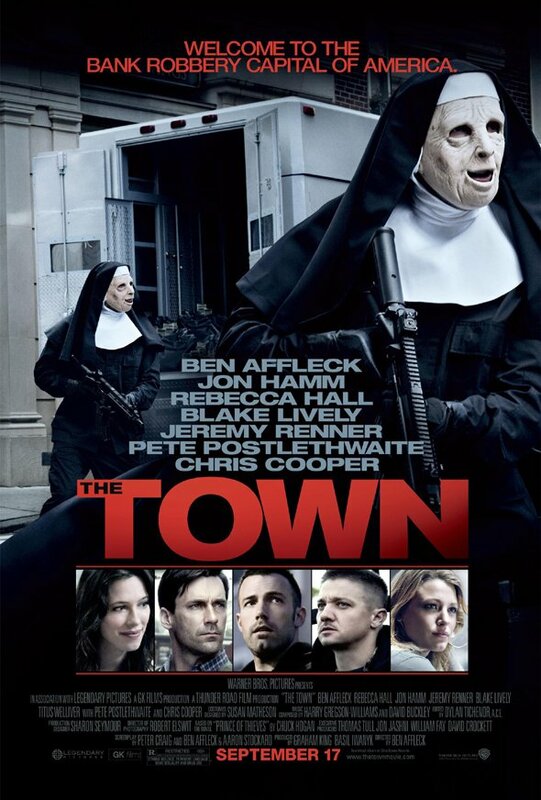 When the first trailer for Ben Affleck's The Town dropped last month, there were two reasonable reactions to have: 1) this looks a lot like Michael Mann's Heat and 2) those nun masks are absolutely terrifying. Unfortunately, only one of those things can really be shown on a movie poster. Apple has released the first one-sheet for the upcoming crime drama and it's chock full of nightmare juice. Really, marketing team? It wasn't enough to have one freighting machine-gun wielding, rubber-faced nun? You had to stick the second the second one in the background. Growing up Jewish this is only scary for me on one level. I can't even imagine what it's going to do to somebody that went to parochial school. Check out the poster below or head over to Apple where you can download it full-size.